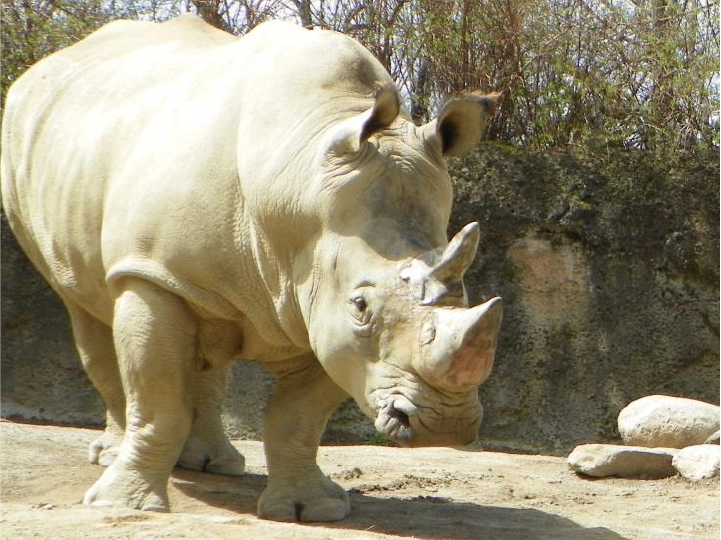 Rhino horns are made of keratin, the same material that makes up our hair. There is no medicinal value to this horn. Savannah woodlands and grasslands in South Africa, Namibia, Zimbabwe and Kenya.